There’s an excellent blog post over on the BBC Writersroom by Dan Tetsell, with some sage advice from some great scribes. 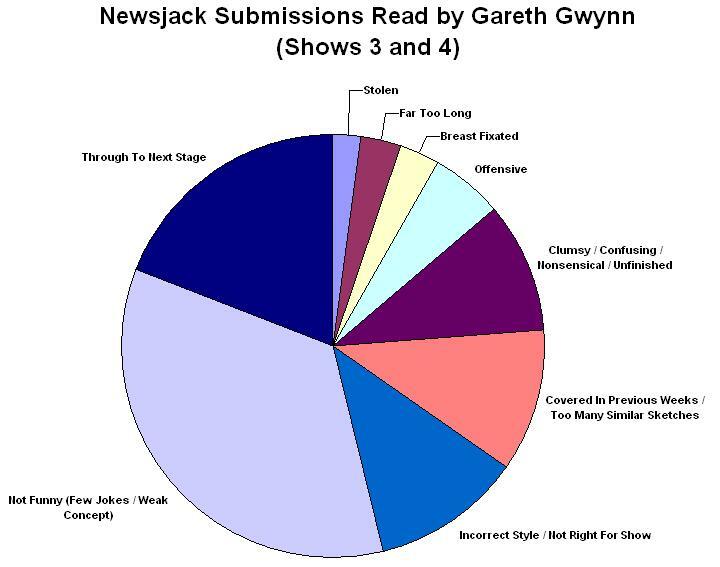 Of particular interest is this graph, prepared by Gareth Gwynn, breaking down the suitability of Newsjack submissions. There should be another episode of Bashing Keys in the near future, so keep ’em peeled. This entry was posted in Bashing Keys by Simon Dunn. Bookmark the permalink.